No. 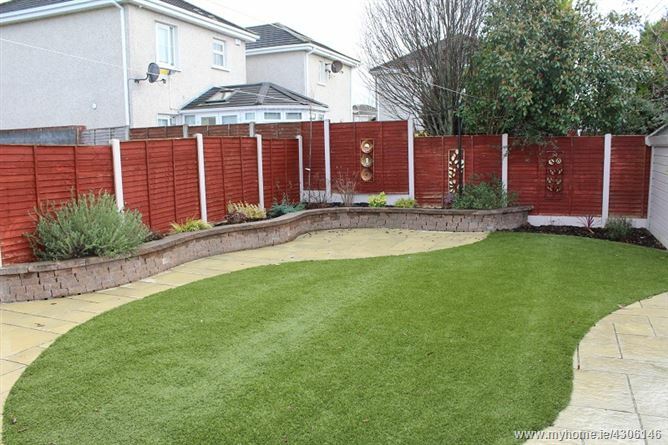 27 Mount Garrett Rise enjoys a commanding location being within minutes walking distance of the Tyrrelstown Town Centre, with its variety of shops & amenities which include: Super Value, Lidl, crèche, butchers, hardware store, schools, and a selection of restaurants. The Blanchardstown Centre is situated a little further away (c.2miles) with its huge variety of retailing opportunities and associated retail. There are good transport links to and from the city centre with the 38c and 40d both terminating at the Tyrrelstown Town Centre. 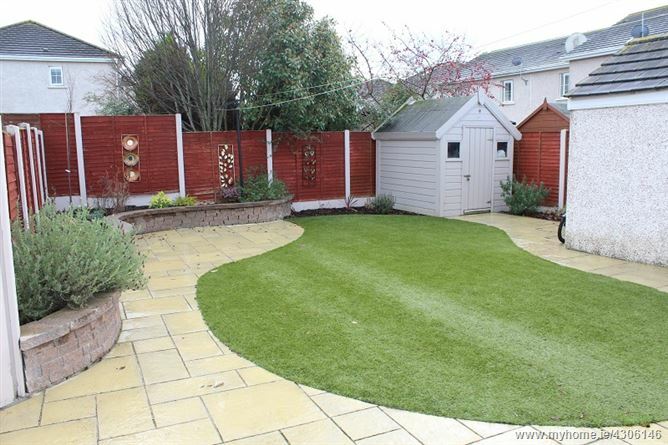 No 27 Mount Garrett Rise, is a large four bedroom semi -detached property with garage conversion New to the market this property is in superb condition throughout. 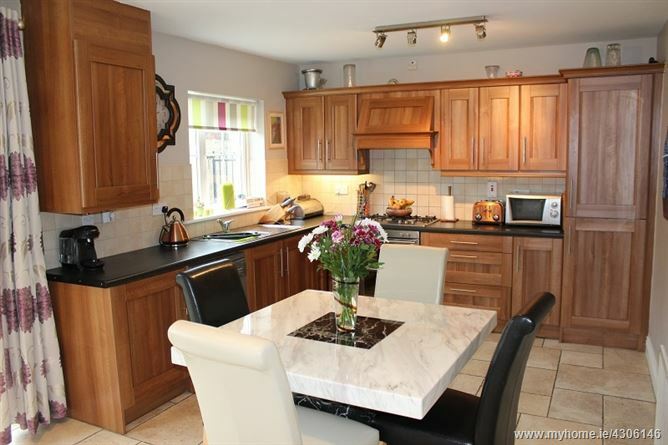 Some of the special features afforded to this property are large kitchen dining room, large living space, 3 double bedrooms, second reception/ playroom, large rear well-manicured garden with sunny orientation, off street car parking for two cars. 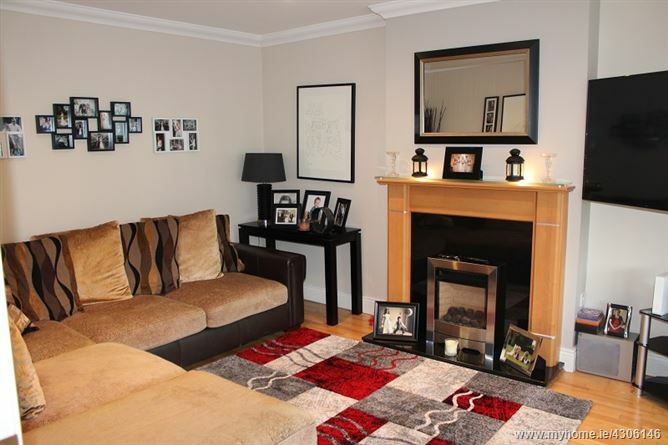 •	Within walking distance of the Tyrrelstown Town Centre. 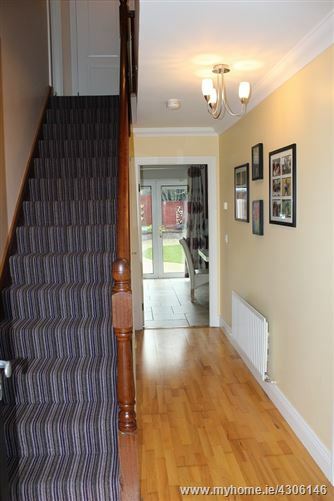 Entrance hallway - c.4.8m x 0.9 mtrs- Semi solid wood floor, alarm , New Door. 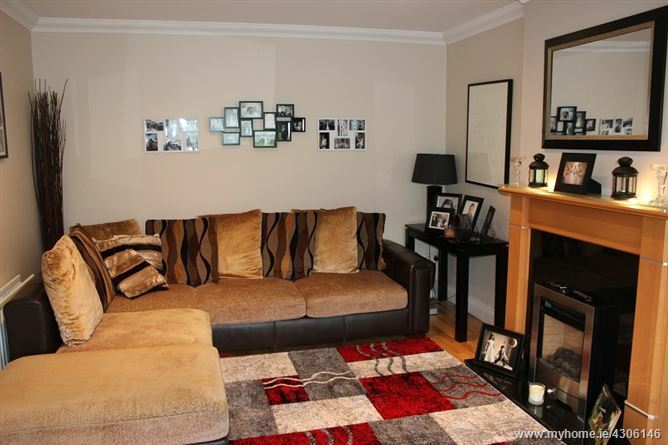 Living room – 5.1 m x 3.8 mtrs – Semi solid wood flooring, Spot lights on dimmer, curtain poles and curtains feature fireplace with gas fire insert, feature bay window. 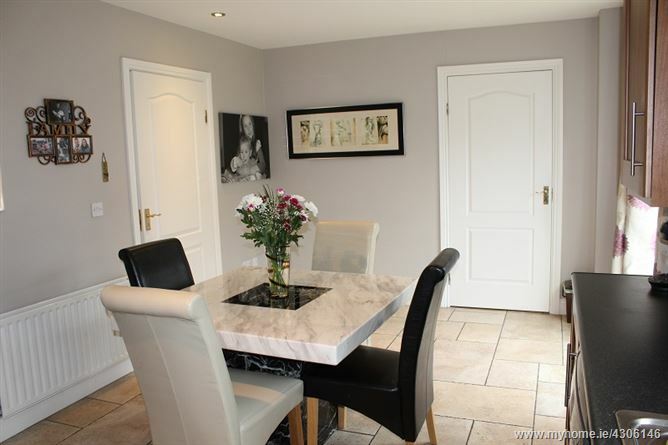 Kitchen / dining room c.5.7 m x 3.5 mtrs – Tiled floor, tiled splash back, fitted cream high gloss kitchen, integrated fridge freezer, electric hob, fitted oven, dishwasher. 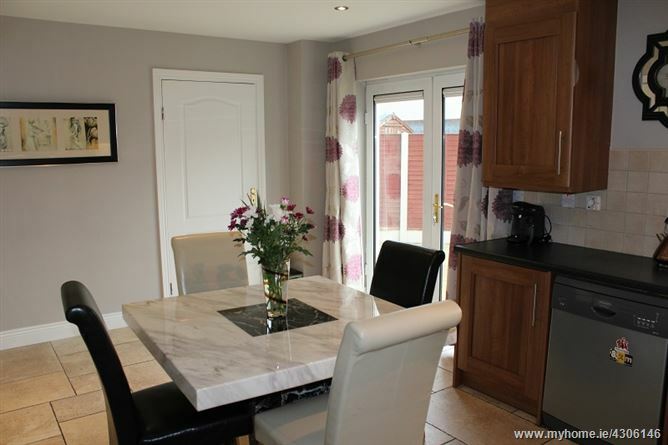 Sliding doors to rear garden, door to garage reception. 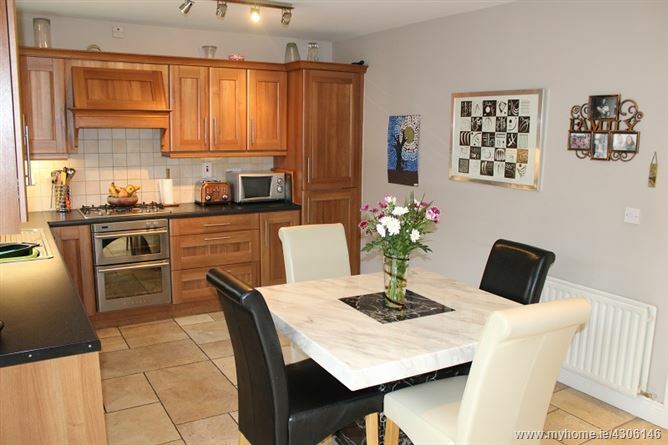 Guest w.c - Tiled floor, w.c and w.h.b with tiled splash back, free standing shower. 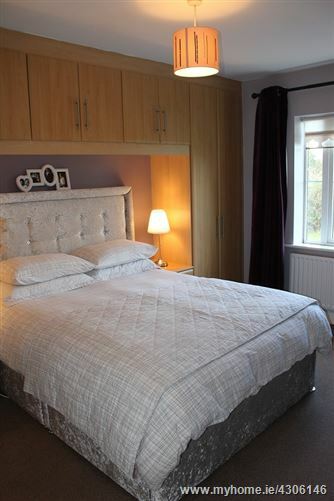 Master bedroom c. 4.5 m x 3.1 mtrs – Carpeted and fitted wardrobes. 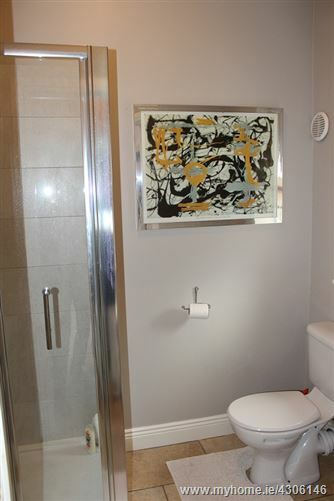 (Ensuite) c.1.7 m x c.1.7 mtrs – Tiled floor, full floor to ceiling tile, w.h.b, w.c & shower with shower door. 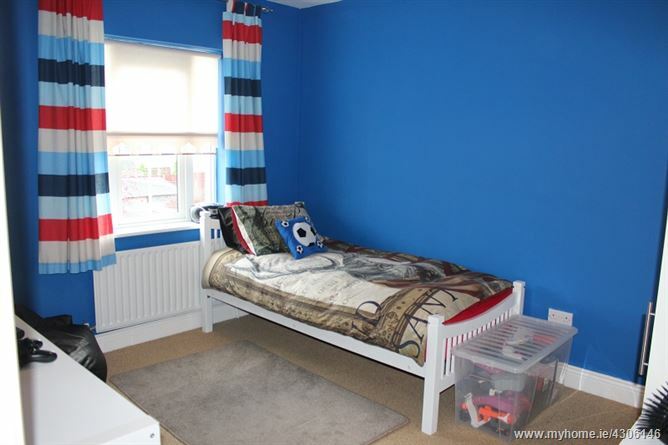 Bedroom 2 c. 4.1 mx c.3.0 mtrs – Carpeted & fitted wardrobes. 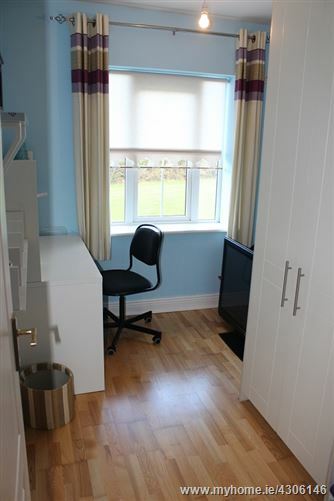 Bedroom 3 c. 3.0m x 3.7 mtrs –Carpeted & fitted wardrobes. 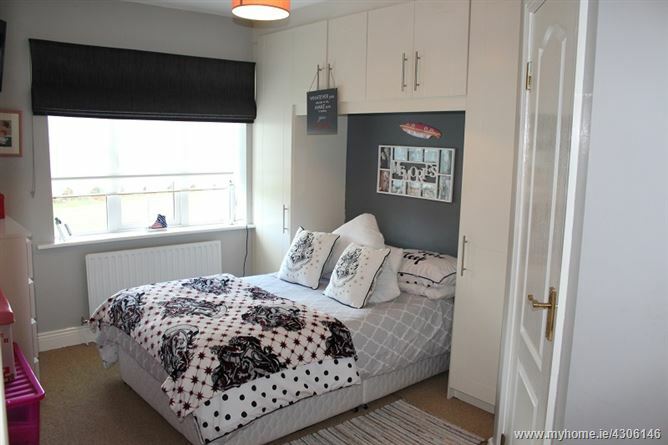 Bedroom 4 c. 3.1 m x 2.4 mtrs –Carpeted floor & fitted wardrobes. 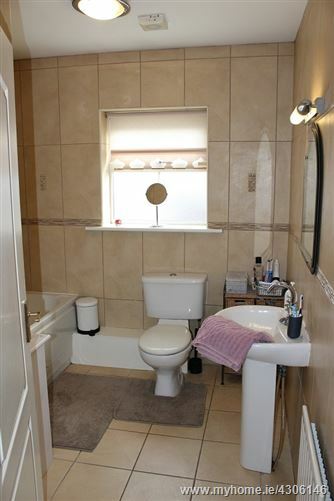 Family Bathroom c. 2.6 x 2.4 mtrs – Tiled floor, wall tile floor to ceiling, bath with shower facility, w.c and w.h.b. 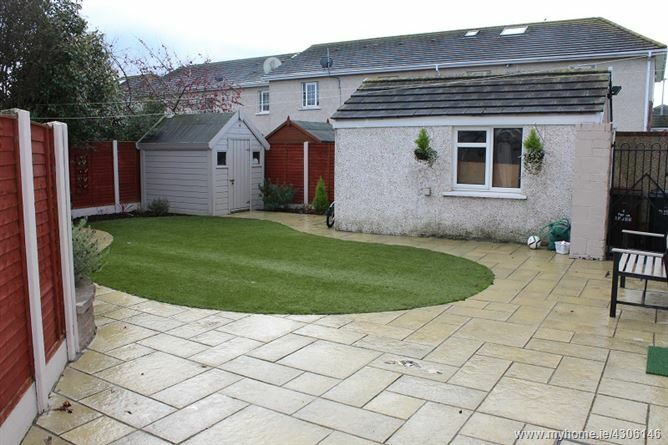 Rear garden – Well manicure garden with, purpose built block shed and barna shed, side access to 2 parking spaces. 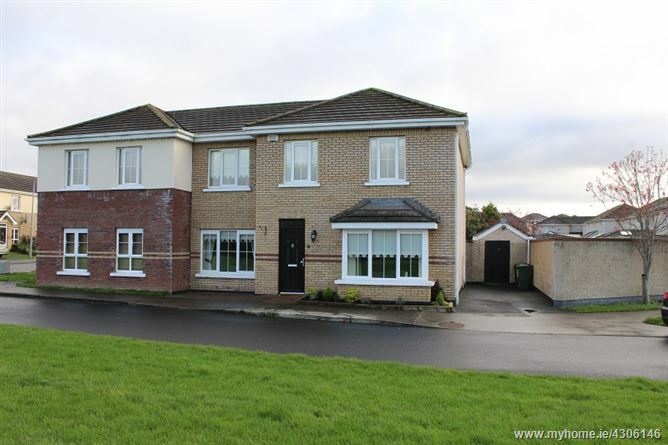 On entering Tyrrelstown, Proceed straight through roundabout at the Town Centre, Continue straight past the crèche on your right hand side, go straight through the next roundabout and proceed to the following roundabout, take a right turn off this roundabout into Mount Garrett , proceed straight and take the left turn and the second right to Mount Garrett Rise, see sign.